A fusion of live action and animation to tell the story of Lake Biwa's draining. Lake Biwa Canal has been an economic life giver to Kyoto. Its formation is all due to a young engineer by the name Tanabe Sakuro who tried to incorporate an idealistic and new technology of the time: hydroelectric power. 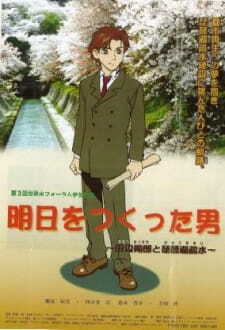 He was able to build Japan's first hydro-electric power station through the construction of the canal (which obviously required the lake the be drained, hence the title of the anime).